SUGARCREEK, Ohio — Pearl Valley Cheese Company, Fresno, Ohio, won the second of three contests to determine the grand champion and reserve champion cheesemakers for the year of 2018. The Ohio Swiss Cheese Association held its Ohio State Fair contest July 17 at Pearl Valley Cheese. All of the cheese entered for the seven classifications will be on display at the Ohio State Fair in Columbus. For the Ohio State Fair bragging rights, Pearl Valley Cheese Co. received the grand champion rosette for their Swiss cheese and the reserve champion rosette for their Emmentaler cheese. Pearl Valley won the Rindless Swiss Class, as well as the Other Swiss Class, for its Emmentaler. Guggisberg Cheese Company, Millersburg, Ohio, took second in both the rindless and “other” classes, placing with its Baby Swiss in the Other class. Bunker Hill Cheese, Millersburg, Ohio, placed third in the rindless class, and Pearl Valley took third in the Other class for its Lacey Baby swiss. 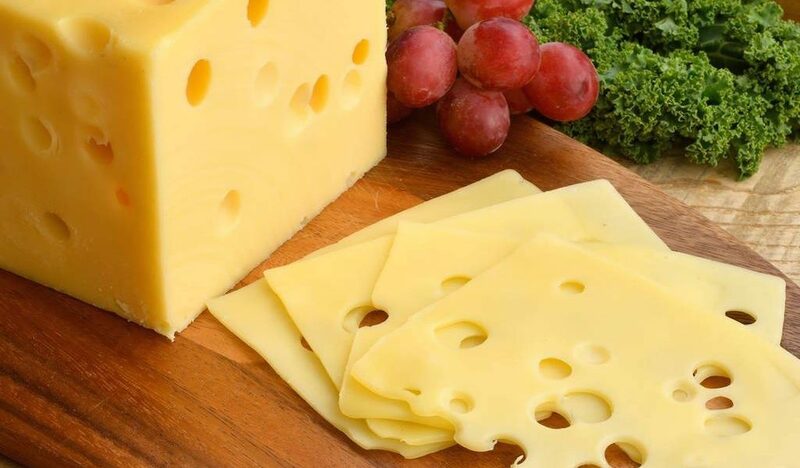 In the Mild Cheddar Class, Middlefield Original Cheese, Middlefield, Ohio, placed first, and Bunker Hill Cheese placed second for its Raw Milk Cheddar. In the open class: (various cheeses, flavored and unflavored, made of cow’s milk), Pearl Valley Cheese placed first for its Gouda; Black Radish Creamery, Columbus, placed second for its Buckhorn Aged Farmhouse Tomme; and Middlefield Original Cheese placed third for its Pepper Jack. In the Soft and Spreadable Class: (Cheese containing greater than 51% moisture), Blue Jacket Dairy won with its Lemon Quark, and second place went to Bunker Hill Cheese’s Creamy Feta. Judges for this contest were Mike Felton, former cheesemaker; Mark Coblentz, cheese buyer; Chad Proper, quality control and sales; and Paul Chervenak, cheese buyer.